Ertefa Meet! Every Thursday 9pm! The meet/show will be on rain or shine, there's a high chance you wont see me there...due my missfiring issue. But if you do show, come and enjoy the night. 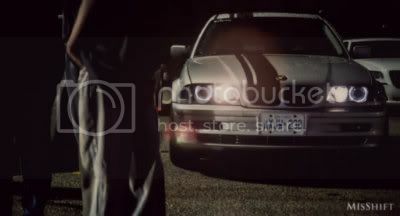 Due to street Racing...Ertefa will be down at YorkR PD's request. Sorry for the late news...we are shocked too. *Due to some accidents that accrued few weeks ago on hwy7 because of street racing, York region police and the property management is not allowing us to have the meet this Thursday. Anyone who comes out will be trespassing and they have the permission to give you tickets on whatever they see necessary. We will keep you updated as we hear back from property management and York regional police. 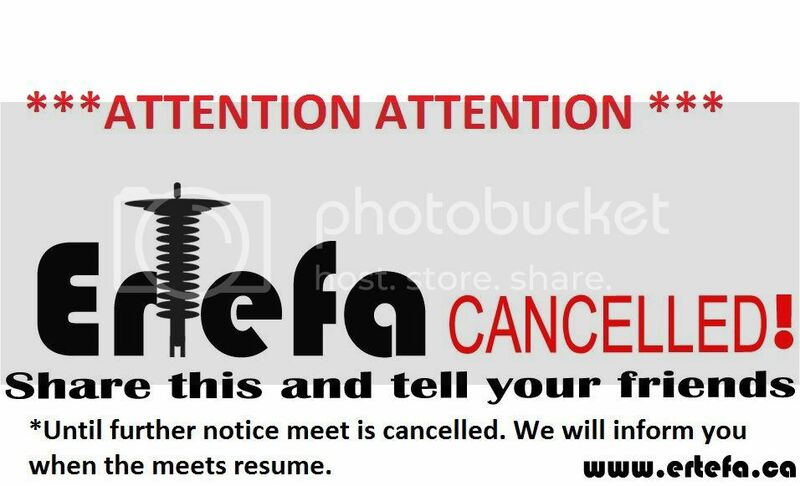 Until further notice meet is cancelled. We will inform you when the meets resume. Again i will post updates regarding what happens. Complete BS. Those fools who ruined it for the hundreds of others should be drawn and quartered. Agreed, we work hard to make it happen every week, but disrespectful rice boxes wants to show off their straight pipe got us messed up. I still don't get the law enforcement of that area, if someone is outline through the book at them and make an example, but don't take it out on everyone else. guess things are more relaxed and they treat modified car drivers better out in the east end. Like we promised. Here is the new location!! Keep in mind all the previous rules that some people did not follow which got us kicked out still applies here! We're close to residential area so it's very important we watch the noise level! Parking only in the lot Infront of BEST BUY. DO NOT park in Walmart because they're open till late. Last edited by jaeeod; 09-18-2012 at 08:09 PM. We will be at the same location at the same time again! We had a little over 700 cars for first day back! Lets break 1000+ this week! beautiful day, beautiful nights! See you soon! 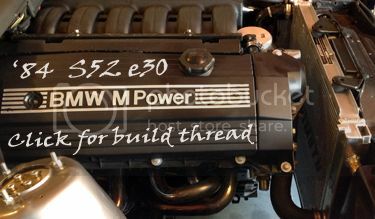 I'll be there tonight with a bunch of other M3's. 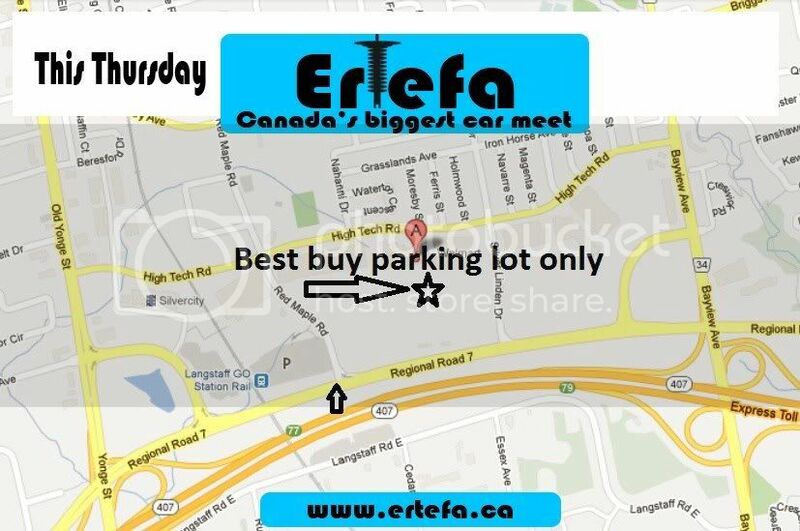 Should work, we're having a pre-Ertefa meet @Yorkdale for 8pm. Plan on rolling out around 8:30 to arrive @9pm. Saving us some spots will be great! Cool give me a call when you guys are inbound. More likes! We wanna hit 8k! *Yawn* Sounds like another "woodbridge tim hortons party" to me. Have you been to our meets yet? i do try our best to keep it nice, you are gonna get some true ricers. But most of the people who came had a blast! Update! We have confirmed we have alittle over 1000 cars! cheers!